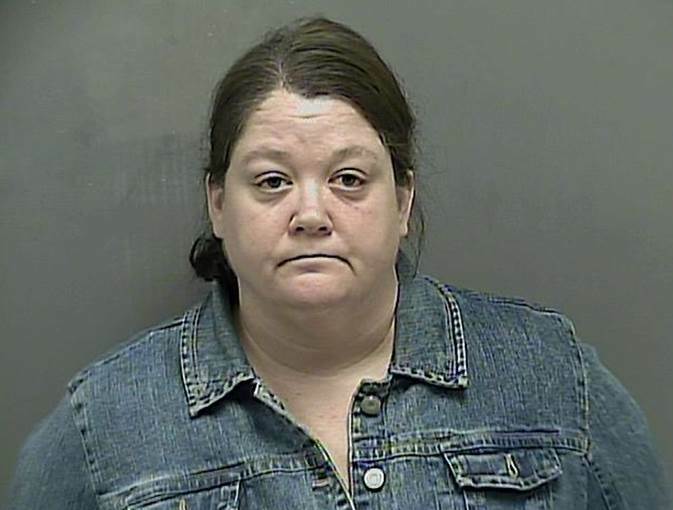 During an ongoing Kingsport Police Department investigation into extensive embezzlement from Victory Apostolic Church by Pastor Boyd W. Holder, Detectives learned that the pastor’s wife, Sharon C. Holder, was responsible for misappropriating over $10,000 from one of the church accounts. On September 27, 2016, details of these new findings were presented to the Sullivan County Grand Jury which in turn returned a true bill. A Criminal Court capias was subsequently issued, charging Ms. Holder with Theft over $10,000. On October 26, 2016 at approximately 10:45 AM, Ms. Holder turned herself in at the Kingsport Justice Center and was booked into the Kingsport City Jail. She was later transferred to the Sullivan County Jail in Blountville, but she has since been released after posting a $6,500 bond. As this remains an active investigation by the K.P.D. Criminal Investigations Division, and in the interest of not tainting further prosecution, no additional details will be released at this time. On February 6, 2015, several members of the congregation of Victory Apostolic Church, located at 1921 Kite Street in Kingsport, approached the Kingsport Police Department with concerns over a substantial sum of money being missing from the church coffers. The complainants stated that the disappearance of the funds coincided with Boyd W. Holder’s tenure as the pastor and primary financial agent of their church. Detectives with the K.P.D. Criminal Investigations Division began a lengthy investigation into the matter, which included a thorough analysis of both Mr. Holder’s and the church’s financial records and transactions. During the course of this investigation, Detectives learned that Mr. Holder had siphoned in excess of $60,000 of church funds for his own personal use or gain. On May 20, 2015, the findings of this investigation were presented to the Sullivan County Grand Jury which returned a true bill, indicting Mr. Holder on the charges of Theft over $60,000 and Money Laundering. A bench warrant was promptly issued for his arrest. On May 21, 2015 at approximately 11:30 PM, Mr. Holder was arrested at the parsonage where he resides, located at 1913 Kite Street. He was incarcerated in the Kingsport City Jail in lieu of a $35,000 bond imposed by the presiding judge. As this is an ongoing investigation by the K.P.D. Criminal Investigations Division, no additional details will be released at this time.